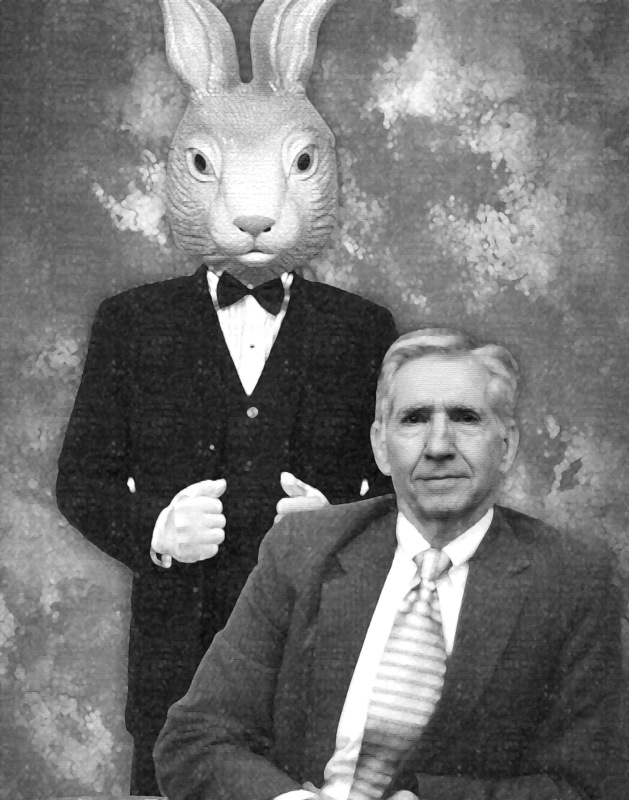 Leave it to Stage Right Productions to come up with an idea as clever as an Easter weekend opening of Mary Chase’s classic comedy, HARVEY, with its title character being — you guessed it— a rabbit. 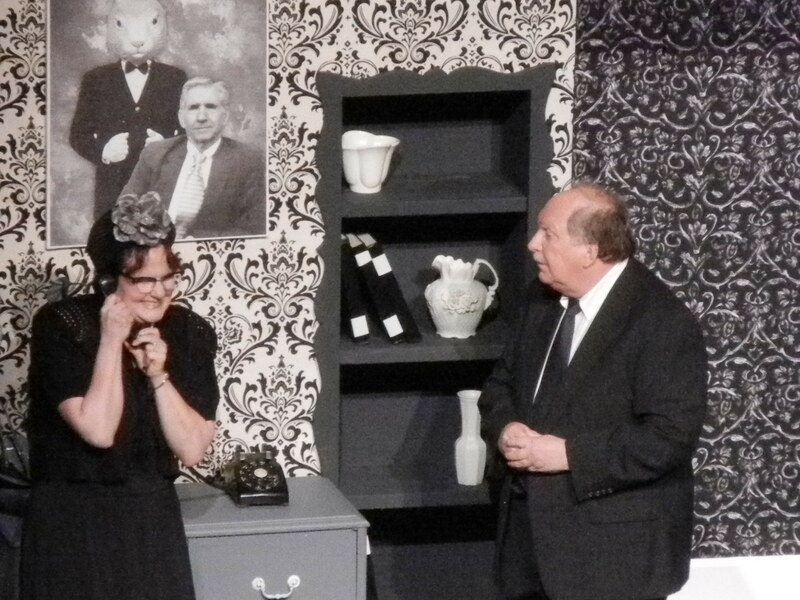 While this elusive bunny never utters a word, he comes very close to stealing the show at Conroe’s elegant Crighton Theatre. With a respectful nod to the classic black & white motion picture of the same name (It starred Jimmy Stewart), director Sam Martinez and set designer, Debra Schultz came up with an attractive and creative set concept that is black & white as well. Even the costumes (designer, Kathleen Zaritski) follow that b&w format. As the show opens the time is 1944, we hear the gentle tinkle of a Scott Joplin rag in the background, and the split-stage design depicts on the left the attractive library in the old Dowd family mansion. It is the residence of one considerably eccentric (or is he crazy? ), Elwood P. Dowd, played in a subtly low-key performance by Gerald Livingston. On the right of the stage the secondary scene is the reception room of Chumley’s Rest, a sanatorium that specializes in dealing with the mentally disturbed. It is often said that comedy is that most difficult of tasks for actors, and I think during Act One that difficulty with timing and delivery kept the comedy from fully catching fire. But the hilarious Act Two was another story. As events unfold, Veta determines that she must have Elwood committed to the Chumley’s Rest sanatorium, and she visits there to make the arrangements with Dr. Sanderson (Mike Anderson), and the facility’s director, Dr. Chumley (Willard “Will” Radcliffe). In the ensuing mayhem a mix-up occurs as Veta’s description of the six-foot rabbit ends up getting her institutionalized instead of Elwood. Prepare for big-time belly laughs when she finally escapes the asylum. And speaking of laughs, Radcliffe supplies plenty of them as Dr. Chumley begins to wonder if perhaps he is losing his mind and Elwood is really the sane one. Is there really a giant rabbit? Audience members will have to watch very closely to get the answer to that question. In addition to those already mentioned, the capable cast includes Renée Cannon in dual roles as both the maid, and Dr. Chumley’s wife, Betty. Cindy Tippens gives us a prim and haughty Aunt Ethel, Megan Nix is Nurse Kelly, Travis Bryant plays medical assistant, Duane Wilson, Stephen Murphree is Judge Gaffney, and Steve Dowell is the insightful cab driver. Perhaps my only real disappointment was that Harvey apparently had another commitment (no pun intended) and was unable to remain for the curtain calls. But one theatre staff member expressed the hope that Harvey may take his bow at future performances. Perhaps you’ll get a lucky glimpse if you attend. 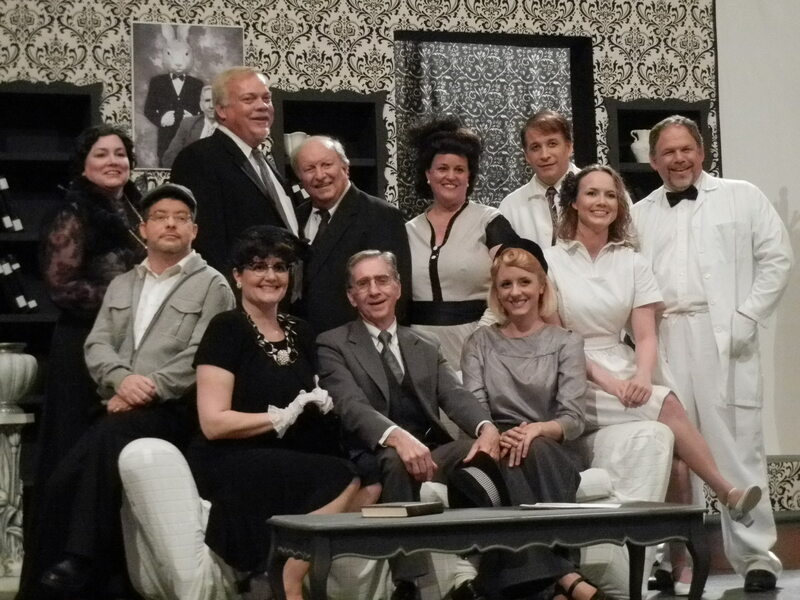 HARVEY will continue through May 8th at the Crighton Theatre, 234 N. Main St. in Conroe. Tickets are $17 for adults, $15 for seniors, and $12 for youngsters. For tickets & information call 936-441-SHOW, or visit the website at www.stage-right.org . Bentley’s columns have appeared in newspapers from the East Coast to the Gulf Coast and may be viewed online at the website: www.ThePeoplesCritic.com E-mail may be directed to ThePeoplesCritic@earthlink.net . This entry was posted in Miscellaneous Reviews, The Courier Columns, Theater Reviews and tagged Broadway, Conroe, Entertainment, Houston, Reviews, Texas, theatre. Bookmark the permalink.